Click below for our "Do It Yourself" products for the home owner. You can also view our step-by-step guide and instructional videos on foundation repair . Quick reference for basement wall crack injection. Determine the type and quantity of product, as well as necessary accessories. Click here for our "Do It Yourself" repair products. 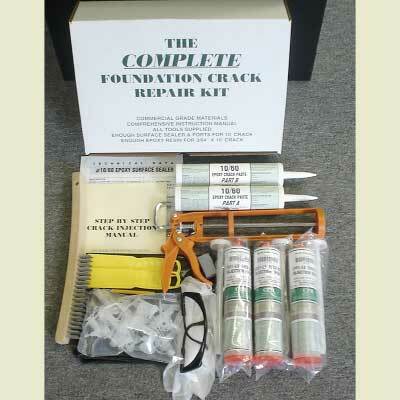 Take a look at just how easy it is to use our complete crack repair kit. This step-by-step guide will walk you through basement wall crack injection. Downloand and print step by step, illustrated manuals for wall crack repairs using epoxy, urethane and carbon fiber. Step by step procedures for dual cartridge epoxy crack injection and carbon fiber reinforcement installation.